Gascoyne Resources has announced an equity raising worth $24.4 million to gain working capital and funds for its flagging Dalgaranga gold project in Murchison in Western Australia. The raising will comprise a $3.8 million placement and a four-for-five entitlements issue worth $20.6 million. The company has had a challenging start to 2019, having posted a $47.2 million loss in the six months ended December 31. The company cited poor reconciliation and low production at Dalgaranga as the primary reasons for the loss. 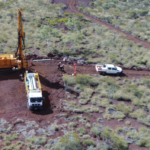 Contractor NRW Holdings, which has been involved with Dalgaranga in its capacity as a mining provider since late 2017, confirmed via the ASX it would sub-underwrite up to $5.3 million of the entitlements issue. 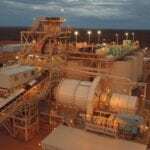 “NRW continues to work closely with Gascoyne Resources on the Dalgaranga project to support operational priorities,” NRW said. 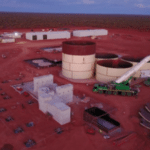 The contractor also provided a $12 million loan to Gascoyne in December last year, which was initially due for repayment through the second half of 2019. The loan repayment has now been extended by six months to June 2020. Gascoyne’s placement will result in the issue of up to 77.3 million new shares at a price of five cents a share, a 50 per cent discount on the company’s five-day volume weighted average price (VWAP) of 10 cents a share. Additionally, Gascoyne in its equity raising presentation referred to a “large European investor” that has committed $2 million to the placement and $8 million in sub-underwriting for the placement. 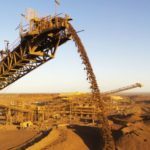 Gascoyne’s auditor Grant Thompson stated last week there could be “significant doubts” surrounding the company’s ability to continue due to its losses. The gold miner poured first gold at Dalgaranga in May 2018 and has so far recovered around 43,000 ounces from a resource of around 1.3 million ounces. The project has five years to go based on a six-year mine life. NRW Holdings meanwhile is riding high off the back off a record breaking year in 2018, with the company’s net profit after tax jumping up 48 per cent to $42.2 million.